Lambic, thought to be the oldest beer in the western world, may also be the most unusual and the most polarizing: Some see it as the ultimate expression in the art of brewing; others don’t think of it as beer at all. True Lambic is produced in a specific part of Belgium, where the style originated. If made here, the beer is “Lambic-inspired.” Because of its fermentation style, it’s one of the closest beers to wine, expressing a sense of place, or terroir. Exposed to wild yeasts and bacteria — as opposed to cultivated strains of brewer's yeast — the beer develops distinctively dry, vinous and cider-like flavors with high acidity and a sour aftertaste. Brettanomyces (Brett), a volatile yeast strain typically unwelcome in both breweries and wineries, dominates Lambic’s fermentation, delivering the funky, earthy, tart flavors people either love or hate. 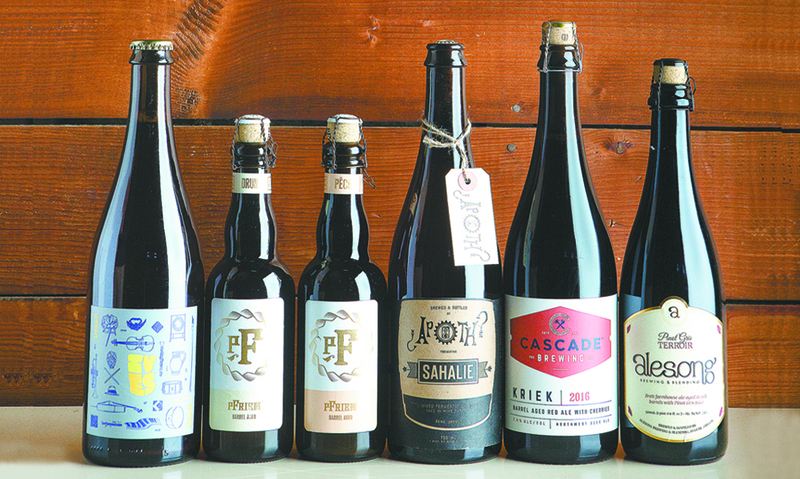 Cloudy in appearance with mild carbonation, modern Lambics may be fermented with raspberries (framboise), peach (peche), cherry (kriek), apricots or even wine grapes. The fruit helps mellow the beer’s sour nature, adding complexity in flavor, aroma and color. 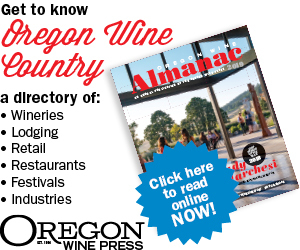 It’s been said, “It takes lots of great beer to make excellent wine,” and according to several Oregon winemakers who also love beer, the state’s Lambic-inspired beers fit that bill nicely.